One of the many rumors in the search for missing Malaysia Airlines Flight MH370 is that the plane either crashed or landed on the Andaman Islands or the Nicobar Islands in the southeast Bay of Bengal. However, Indian officials are saying that there’s no evidence it happened. Anonymous officials told the daily Andaman Sheekha that Andaman and Nicobar Command of the Indian Armed Forces confirmed there’s no evidence of a landing or crash on or near the islands in the archipelago, which lies over 1,000 kilometers off the Indian mainland. “Today, we have come across reports that suggest that there are runways in the Andamans where the large Boeing 777-200 ER could have landed … Both runways are considered extremely sensitive and are well protected,” an official was quoted as saying. The islands are a union territory of India. There’s two runways–one at an Indian Air Force base at Car Nicobar in the Nicobar Islands and the other a part commercial, part military airport at Port Blair in the Andamans. The search for the plane, which disappeared off radar in the early hours of March 8, shifted to the Indian Ocean this week after new intel suggested it turned left after leaving Kuala Lumpur. 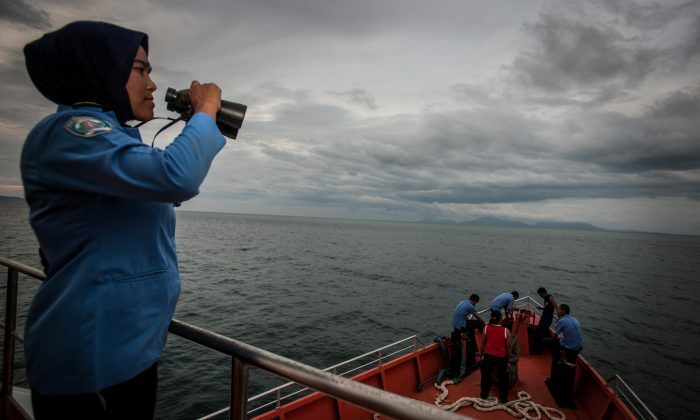 The initial search was between Vietnam and Malaysia and then in the Strait of Malacca off of Malaysia’s west coast. Even though the Indian officials said that there’s no evidence of a landing or crash, local fisherman and sailors are being asked to keep a sharp eye out for anything unusual. Balayogi, a senior sailor on one of the civilian boats in Port Blair, capital of the Andaman and Nicobar archipelago, said they were instructed to offer all possible help if they spotted anyone in trouble. “Our captain has been told to be extra vigilant and our captain has instructed us to keep a careful watch while sailing,” he told Reuters. P. Madhivanan, captain and master of the boat “Lawrence”, said they had been asked to immediately alert the communication center if they found anything unusual in the sea. “We have been given instructions to keep an eye out and if we find someone seeking any kind of help we must help,” he said. “We have also been instructed to immediately inform our communication center if we see anything and provide all possible help.